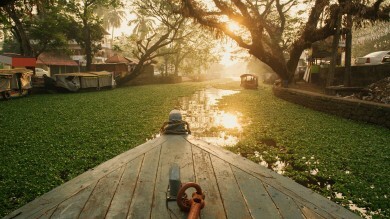 Chaotic and daunting but intoxicatingly beautiful, India is a destination that overwhelms the senses. Home to 1.2 billion people with a diverse topography that features thick jungles, towering mountain ranges, and tropical coastlines, this sub-continental escapade features an assemblage of customs, cuisines, and adventures that guarantee an experience you won’t be able to find anywhere else. A note to the uninitiated — you won’t have the time to experience everything in one trip. The best places to visit in India depend on your flavor for adventure. Don’t know where to go? Here are twenty of our favorite Indian destinations to help you plan the perfect itinerary. Covering an area of around 1,420,540 sq. 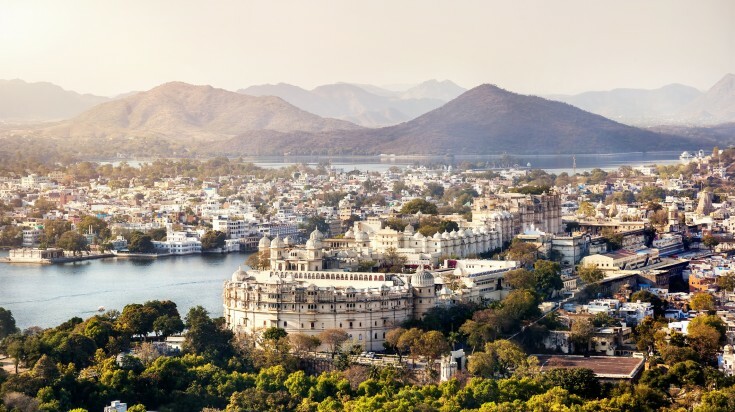 kilometers with a population of around 543 million, North India is a melting pot of customs, cuisines, religions, and traditions that are as diverse as its topography — the Himalayas to the north, the Thar Desert, and the Indo-Gangetic plains. Featuring sub-tropical forests, glaciers, and wildlife reserves, the north holds some of the best places to go in India, but it pays to know where to look. Here are ten of our favorite destinations in the north. 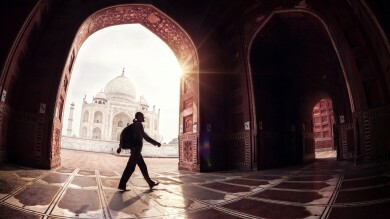 Home to the wonderful Taj Mahal, Agra also features two more UNESCO World Heritage sites for travelers looking for some eye candy — the Fatehpur Sikri and the Agra Fort. As the chosen capital of Akbar, the Great, the city overflows with rich history just waiting to be discovered. Don’t forget to take a guided tour of Agra Fort, a UNESCO World Heritage Site, sample regional heritage dishes at Espahan (arguably the city’s best restaurant) and go shopping at Sadar Bazaar for souvenirs. Those with more time to spare can marvel at Agra’s other architectural marvels like Akbar’s Tomb and Itmad-ud-daula's Tomb. 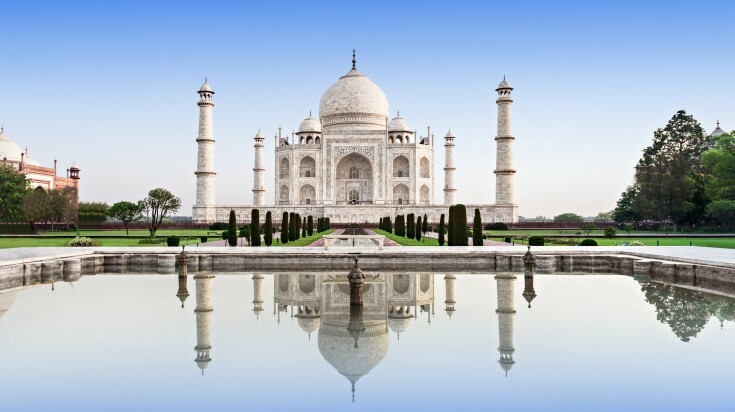 Good to know: Hordes of tourists visit Agra on a daily basis for the iconic Taj Mahal, so if you’re planning on visiting this marvelous marble mausoleum, arrive as early as 6:00 or you’ll have to brace against the crowds. 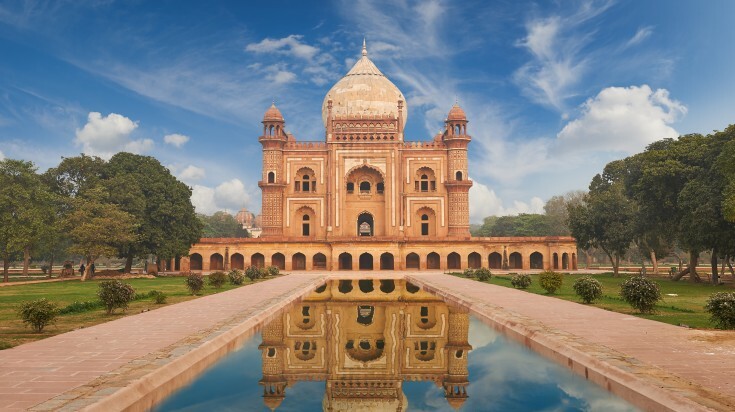 One of the most popular tourist destinations in India, the massive capital city of Delhi is a merging of both old and new. A visit to Old Delhi feels like stepping into a time machine with its ancient Mughal architecture, laborers carrying spices, and rustic bazaars. In stark contrast, modern New Delhi boasts of colonial-era parliament buildings, skyscrapers, and upscale malls. The city is a cornucopia of cuisine, craft, and history, with countless activities to keep you entertained. Gorge on street food, visit Humayun’s Tomb, explore the Red Fort, or shop for Indian crafts in flea markets like Janpath and Sarojini Nagar. It’s easy to lose yourself in this city, both literally and figuratively! Good to know: Gawking at monuments, forts, and mosques are typical Delhi activities, but once you’re done try something a little more offbeat. Explore Gadodia Market for the largest spice collection, check out the vibrantly painted houses at Naughara, or watch folk artists perform underneath the Shadipur Depot bridge in west Delhi! There are so many things to do in Delhi. 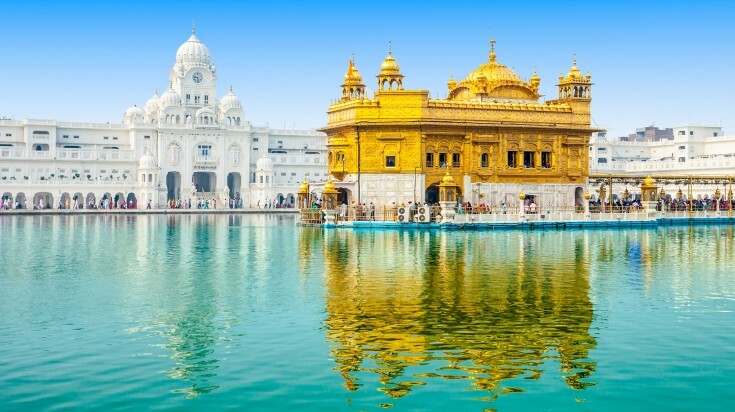 Punjab’s epicenter of Sikhism, Amritsar is home to the spectacular and ever-popular Golden Temple. Include this in your itinerary but know that there’s more to discover. After taking an Instagram-worthy pic at the Golden Temple, immerse yourself in history by exploring the Maharaja Ranjit Singh Museum — a museum that pays tribute to the founder of the Sikh empire. All the dawdling around will make you hungry but don’t fret. You’re bound to find amazing street food almost anywhere you look (try Amritsar’s famous kulchas, a type of bread soaked in butter and often stuffed with potatoes). 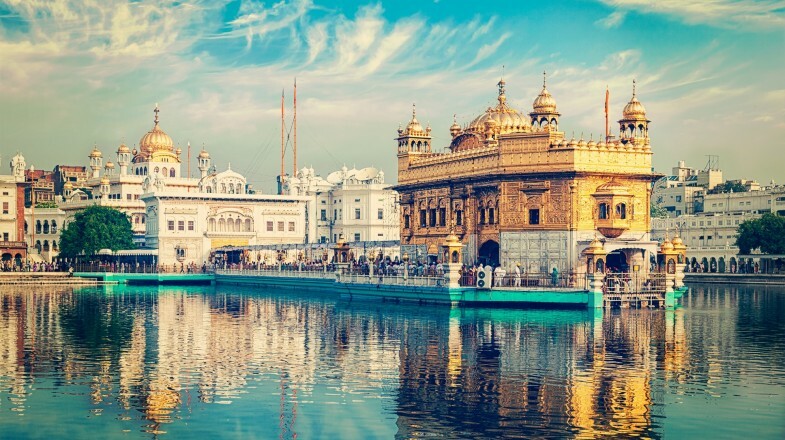 Good to know: The best times to take in the majesty of the Golden Temple are before sunrise and during the cooler evenings where temple lights set the surrounding waters aglow. It is recommended for women to dress conservatively when visiting the temple and mind the mischievous monkeys that have a penchant for stalking people who lug around food. Manali, one of the most well-known hill stations in India, is located in the state of Himachal Pradesh. Often touted as the “gateway to adventure”, this high-altitude Himalayan town provides splendid access to Hampta Pass for trekkers and Solang Valley for skiers. It is also a popular jump-off point for rafting, mountaineering, and paragliding. 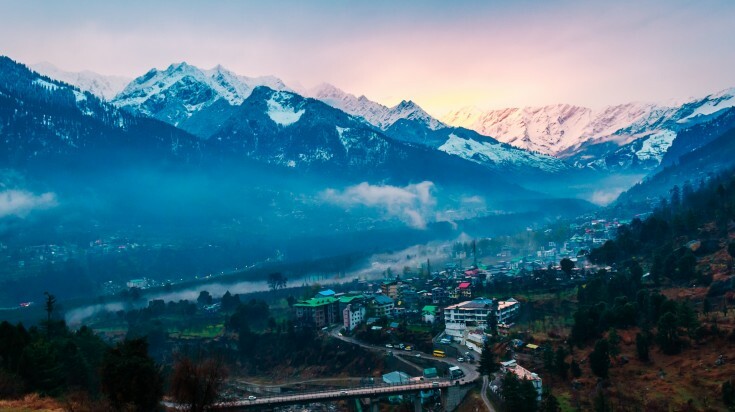 The city provides a humble range of attractions that are still worth the visit — explore the magnificent 500-year old Naggar Castle, gawk over the extremely picturesque surroundings of the Solang Valley, reflect on life at the revered Manu Temple, and hob-nob with the locals at the little eateries of Old Manali. Good to know: If you’re new to paragliding, there’s no better arena in the world for starters than Solang Valley in Manali! Contrary to popular opinion, Kashmir isn’t just a destination swarmed by tie-dyed hippies. Dubbed the “Switzerland of India”, the Kashmiri countryside features an unbelievably beautiful landscape of snow-clad ranges and alpine peaks with people from all walks of life. 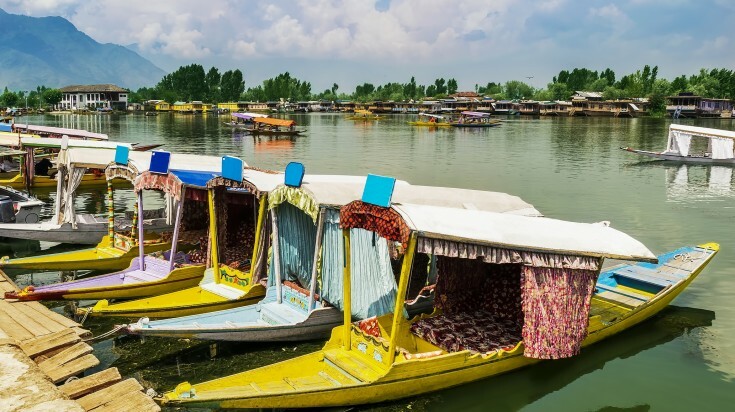 Visit Srinagar and ride a shikara across the calm Dal Lake, snap a photo of the skyline at the peak of the Shankaracharya Temple, and call it a night at any of the iconic houseboats. For thrill-seekers, the options are endless. Visit the snow paradise of Gulmarg for skiing, trek to the Thajiwas Glacier at Sonmarg, or paraglide across the Kashmir Valley. This is one of the best places to visit in North India for adventure travelers! Good to know: One of the most unforgettable experiences in Kashmir is staying a night in a houseboat. Tip: agencies take a large cut of the rental when you book from them. Rent directly from the locals to benefit the boat owners. Known as the spiritual capital of India, this complex and chaotic but incredibly poetic Indian city in Uttar Pradesh houses around 2,000 temples, including the popular Golden Temple dedicated to Shiva. If you’re looking to kick back and relax with a cosmopolitan in hand, ditch Varanasi in favor of Thailand’s Koh Tao. This isn’t a place for leisure, but for life lessons. 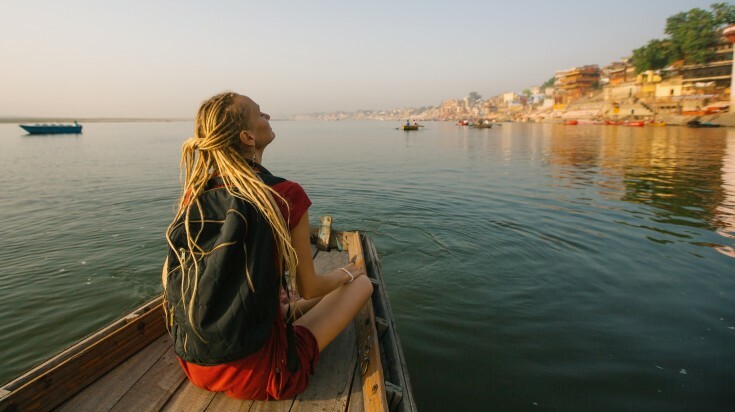 Take a spiritual boat ride along the Ganges River, visit the picture-perfect temples, and take a breathtaking sunset stroll along the River Ganga amongst other activities. The Varanasi weavers at the Sarai Mohana village craft some of the world’s most beautiful saris — a must buy if you’re planning to take home souvenirs. Good to know: The Evening Aarti Ceremony is a definite inclusion to your itinerary. Best viewed from the Dashashwamedh Ghat, this surreal and spellbinding Hindu worship ritual involves offering chants, flowers, and massive brass lamps of about 4.5kgs to one or more deities. This mountainous region located in the Jammu and Kashmir area extends beyond the Himalaya and features breathtaking landscapes and picture-perfect Tibetan Buddhist monasteries. 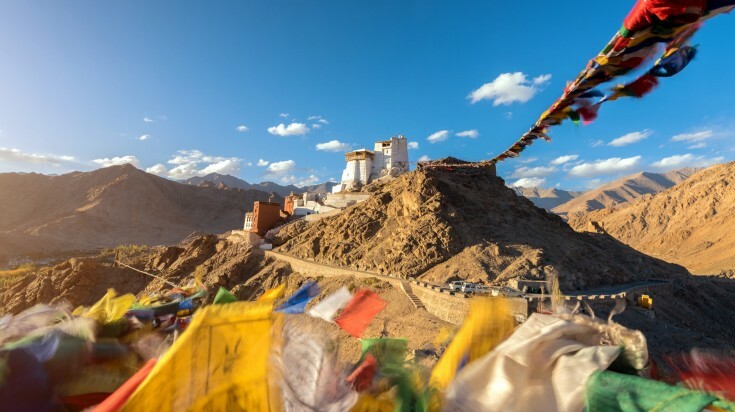 Also known as the “Land of High Passes”, this high-altitude destination is home to mostly Tibetans who are largely self-sufficient in food and fuel. Drift across its winding roads to come across stupas and monasteries, go river rafting, trekking, or go on a camel or jeep safari. A plethora of adventure activities await travelers looking for an adrenaline rush! Good to know: Around 30km from Leh on the Kargil Highway is what the locals call the “Magnetic Hill”. Even if your car’s engine is turned off on this mysterious spot, it will still keep moving. Jaipur’s home state in northwest India, this arid destination features the expansive Thar Desert and the Aravallis, one of the world’s oldest mountain ranges. Arrive by sleeper train and take in the breathtaking views. Rajasthan feels like stepping into a surreal world with a mish-mash of different elements — one-minute ornate Mughal palaces, vast deserts the next. The places to visit in Rajasthan itself is overwhelming. On top, colorful festivals and a rich wildlife make this destination one of the top places to travel in India. Good to know: Experience the best of India’s wildlife with far fewer tourists. Head to the Keoladeo National Park (known formerly as the Bharatpur Bird Sanctuary), a popular avifauna sanctuary, to spy on over 230 species of birds, or check out the Sariska Tiger Reserve for jungle cats, leopards, chowsinghas, and hyenas. Famous for being the world’s wettest place, this popular monsoon destination dubbed the “abode of clouds” separates the plains of Bangladesh from the Assam valley. Pine trees, rocky cliffs, impressive waterfalls, and some of Asia’s most expansive caves make this state a popular destination for travelers looking to rough it out. Head to Dwaki and kayak across the pristine Umngot River, walk across bridges completely entwined with roots, go waterfall rappelling at Elephant falls or spelunking at Krem Mawmluh. There are a lot of activities to satisfy the daredevil in you! 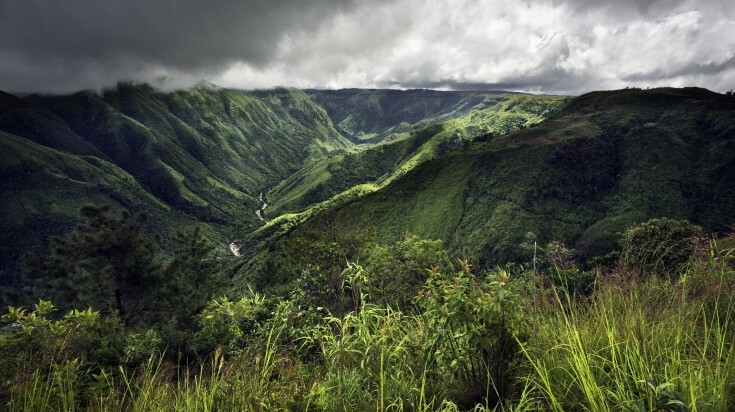 Good to know: Go off-the-beaten path and head to Mawlyngot, just a two-hour drive from Shillong, for an unforgettable experience away from the touristy crowd. Sign up for day treks across expansive tea gardens, learn about how tea is processed, sample some of the best teas across all of North-eastern India, and learn about how the state’s love for the herbal drink was instrumental for their new-found progress. Located in Gujarat’s Thar Desert and measuring 10,000 sq. 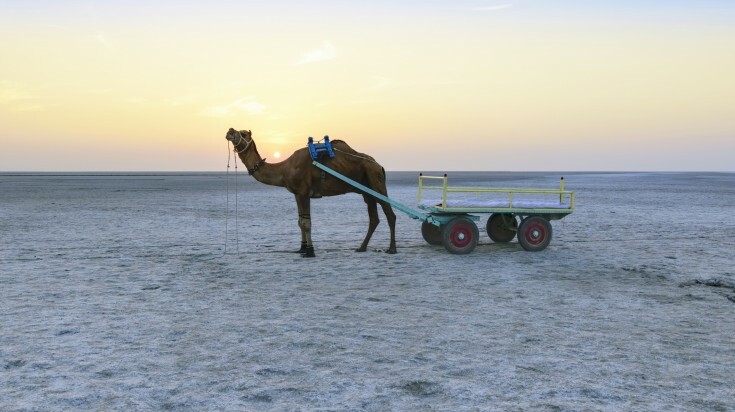 kilometers, the Rann of Kutch is the world’s largest salt desert. During the monsoon season the entire expanse becomes submerged in water, but come October, it dries up and transforms into a vast and desolate flatland. Villages around Kutch are home to a plethora of tribal groups who are renowned for their quality textiles and handicrafts. For those who want to explore, the options are endless. Visit Kala Dungar, or Black Hill, for splendid panoramic views of the entire desert, or explore the Vijay Vilas Palace where a number of popular Bollywood films are filmed. A Rann Ustav festival is held every November until February, where food stalls, handicraft bazaars, and luxurious tents are scattered around the Gateway to Rann Resort at Dhordo. Good to know: Textiles from Kutch are among the world’s most famous. Head to Bhuj and learn about its flourishing textile trade. This small city is home to nomads who barter and sell vibrant tribal ware that features hand-stitched embroidery, mirrors, and hand-printed patterned fabrics. If the North boasts of peaks and plains, the South boasts of sights and solitude. For those looking for respite from the slew of tourists the Taj Mahal brings, the culture, cuisine, and people of South India offer a more relaxing but still unmissable experience. Making up around 19% of India's area, the south consists of 5 states — Tamil Nadu, Karnataka, Andhra Pradesh, Telangana, and Kerala. Coastlines, tropical forests, and rolling hills make up most of South India but sophisticated 21st century cities like Mumbai and Chennai also exist. No matter where you choose to get lost in, an opportunity to adventure and explore awaits. Emerald landscapes and expansive fields of coffee and spice plantations make up the Kodagu (Coorg) region, located in the state of Karnataka. Kodagu’s picture-perfect natural sights and welcome solitude are a far cry from the crowded places of its neighbors, Kerala and Goa, and travelers who dare to depart from the tourist trail are rewarded by pristine backwaters, fertile hills made perpetually verdant by tropical monsoons, and romantic seaside beaches. The Abbey falls is a big attraction, while wildlife sanctuaries such as the Nagarhole National Park and the Pushpagiri Wildlife Sanctuary offer samplings of Coorg’s rich wildlife. Visit Madikeri, the capital of Kodagu often dubbed as the “Scotland of India” for its unbelievable coffee, or gawk at the spectacular landscape views offered by Mandalpatti and Raja’s Seat. Good to know: There are plenty of waterfalls in Coorg, but none as secretly tucked away as Chelavara. Lesser known and great for travelers looking for solitude, this natural waterfall located near Cheyyandane village in the Virajpet – Talakaveri State Highway is best when visited just after the monsoon season when the water level is at its peak and the surrounding forests are most lush. 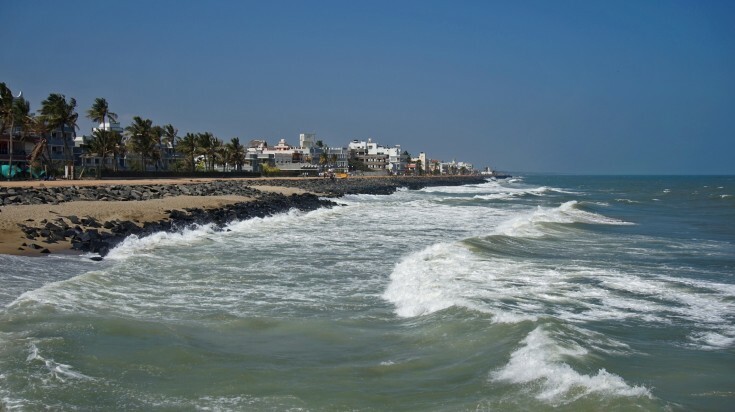 Located in the state of Tamil Nadu and heavily French-influenced, Pondicherry (also known as Puducherry or Pondy) was under French rule until 1954. The vestiges of French colonialism are still downright evident, from the lifestyle shops and restaurants that sell French-inspired fare and ware to the people who up to this day still speak the European language. Brightly painted houses, large boulevards, French road signs, colonial buildings, and massive gothic churches are what make Pondy famous, but if you’ve been in India for a long time, its unique French cuisine is a breath of fresh air. Think steaks and lots of beer! Good to know: Tucked away in a quirky design shop at 59 Suffren St. is Domus, a laid-back, all-veg secret café set amidst turquoise pillars and red walls. Try building your own sandwich with a wide selection of bread, seasonings, and fillings, dig into their European-inspired ‘thalis' salad and wash it down with smoothies, juices, and their delicious espresso. 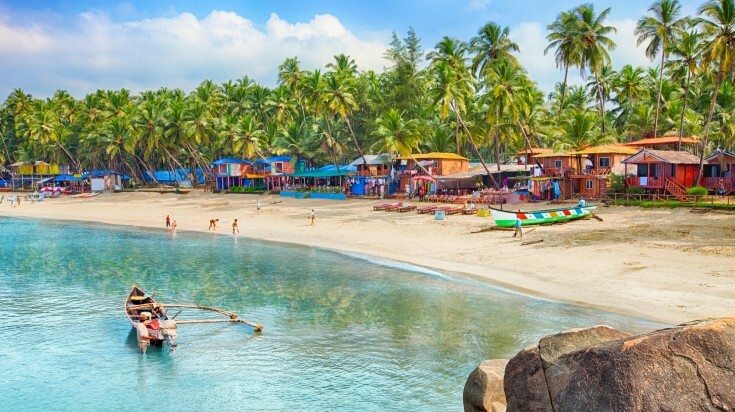 With coastlines stretching all way to the Arabian Sea, the state of Goa offers lots of water activities for sun worshippers and beach lovers. A Portuguese colony until 1961, Goa features preserved 17th-century churches and a flavorful Indo-Portuguese culinary style that's unavailable anywhere else in the country. Its beaches are the ultimate selling point, and there's one to cater to every type of whim — from the backpacker famous Arambol to the wild and boisterous Baga. Good to know: Mario Miranda is a revered Goan cartoonist and his works that illustrate the unique Goan experience is to be found in many restaurants and cafes. Below Aroma Hotel at Panjim is a little store that pays tribute to Mario’s artistic career. Here you’ll be able to find an excellent selection of souvenirs like bowls, cups, and illustrated books all displaying his quirky illustrations. For most travelers, Kerala is one of the best places to visit in South India, what with its long coastal stretches and diverse topography. 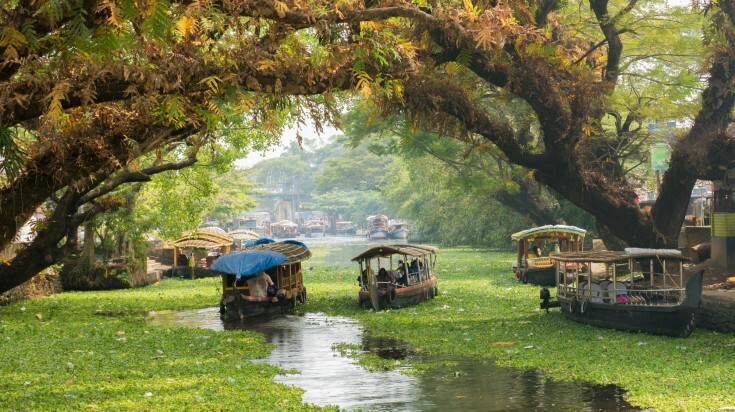 Pristine backwaters, tea and spice plantations that are commonplace in the Western Ghats, and elegant houseboats offer a unique subcontinental experience you’ll be hard-pressed to find anywhere else. Located along the tropical Malabar coast, this gorgeous state boasts of a rich wildlife that’s strictly protected by national parks. Calm and winding backwaters are perfect for tourists who want to experience riding a houseboat (some are equipped with Jacuzzis and personal chefs), while beaches like Marari, Varkala, Kannur, and Kovalam offer water activities for both high-adrenaline and laid-back adventurers. Good to know: Want to engage in retail therapy in the middle of a lake? Head to Kuttanad and shop at Triveni, a floating, 16m long “supermarket” that covers 53 locations in the region and is aiming for endorsement in the Guinness Book of World Records. The floating mall sells home appliances, stationeries, toiletries, and home provisions at discounted prices! A visit to Hampi is like discovering a fantasy land in a far-off place. A landscape dotted with giant boulders, hills, and ancient ruins juxtaposed by lush palm groves, paddy fields, and banana plantations create a destination that’s popular for those looking for something offbeat. For backpackers and seasoned travelers, this is easily one of the best places to visit in India. Located in the state of Karnataka, every nook and cranny of Hampi has a story to tell and is best explored via a bicycle and a tour guide in tow. 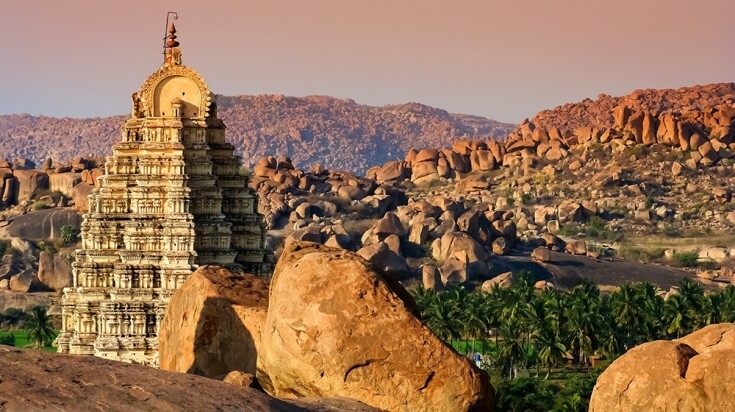 Visit the many temples, go rock climbing, climb Matanga hill for spectacular views, or ride a ferry along the Tungabhadra River — your method of exploration is ultimately your choice. Good to know: Head to Virupapur Gaddi (also endearingly called Hippie Island by backpackers) and join the Sunset Jam Session at Sunset Point. An hour before the sun sets, the area buzzes with strings, percussions, and musical instruments beckoning people to dance. Looking for the best way to cap off your Indian adventure? Head to the Andaman and Nicobar Islands, a far-flung sun-toasted coastal destination that offers exceptional diving possibilities with its prolific marine life and vibrant reefs. Pristine turquoise waters are surrounded by mangrove forests and thick jungles, creating an otherworldly setting that's breathtaking, to say the least. The islands are located closer to Southeast Asia than the Indian mainland, so you'll be brushing shoulders with a mix of South and Southeast Asian settlers. Only around a dozen islands of the 572 islands are open to tourists with Havelock being the most popular and jam-packed. 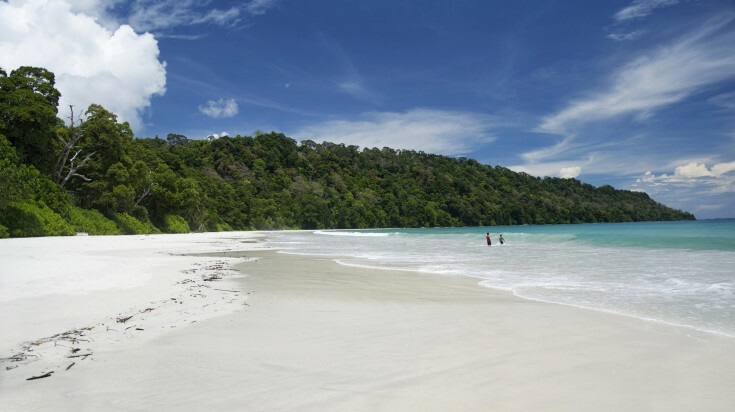 The Nicobar Islands are off limits due to protected tribal areas. Good to know: Barren Island in the Andaman Sea is home to the Barren Volcano, the only active volcano in South Asia. Book a seaplane for a breathtaking panoramic view of this magnificent volcano. The third largest city in the state of Tamil Nadu is an ancient metropolis that once traded with ancient Rome. Hailed as one of the oldest cities in India, Madurai boats of a rich history that began during the 4th century BC. 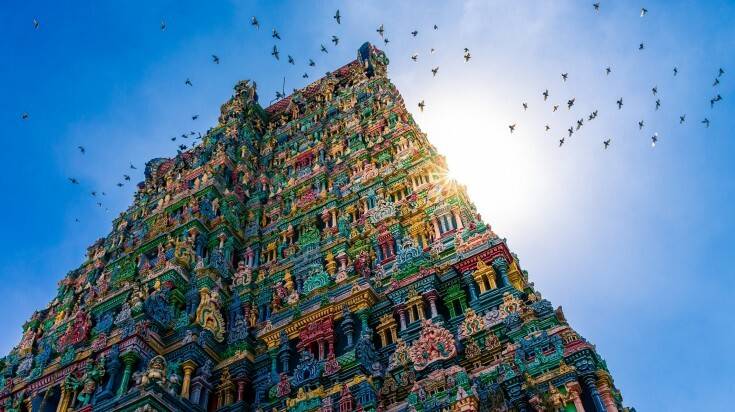 Tourists come here for the ever popular Meenakshi Amman Temple, a massive, labyrinth-like architecture that ranks among India’s best temples. The city is dotted with ornate temples and ancient palaces while being economically powered by information technology — an interesting dichotomy that truly brings out the unique character of the place. Good to know: The city hosts the Chithirai festival, one of the longest known festivals in the world, during the month of April. The festival reenacts the wedding of Goddess Meenakshi and Lord Sundareswarar and includes fun local fairs and a massive procession of temple chariots. 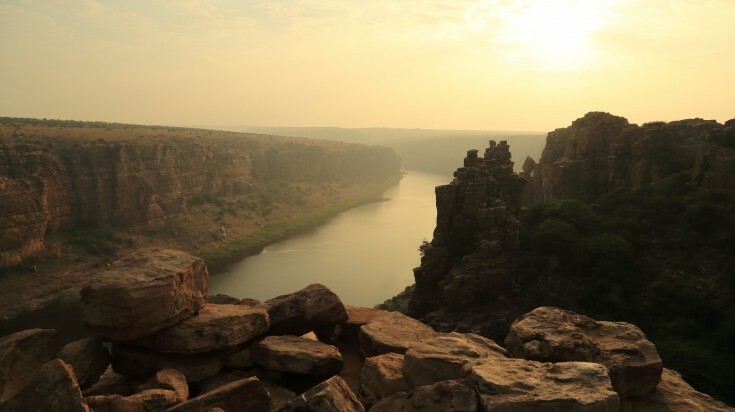 Dubbed as “India’s Grand Canyon”, Gandikota is a small village that sits on the right bank of the river Pennar and is slowly getting its much-deserved limelight in the tourism industry. It is popular for its Grand Canyon-like gorge that is formed as river Pennar cuts through the Erramala hills. The Gandikota Fort, one of the largest forts in India built during the 13th century as a defensive wall, is one of the destination’s most popular highlights with many walking along the wall to enjoy a breathtaking display of the serene river below. After your Fort exploration, be sure to check out the Malyavanta Raghunatha Swamy Temple and Madhavaraya Temple located in the village proper for an amazing display of architecture. Good to know: Don’t forget to check out the Belum Caves in Belum Village — a 3km long cave system that allows you to peek into the depths of the earth. Spelunk across narrow passages and massive echoing chambers filled with stalactites and stalagmites. This complex cave system was reported to have sheltered Buddhist and Jains monks many centuries ago. Experience the life of a genteel Maharaja in Mysore, a city located in the southwestern Karnataka state. 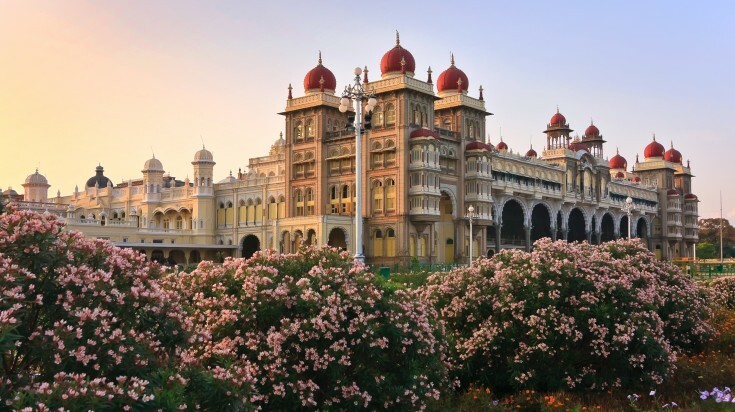 The destination’s drawcard is the breathtakingly opulent Mysore Palace, a three-storey stone structure complete with marble domes and a five-storey tower that’s 44m tall. The city, however, is more than just its royal palaces, as there are other worthy inclusions to your itinerary. Visit the picturesque Brindavan Gardens located below the Krishna Raja Sagara Dam, spy on birds and animals in the Mysore Zoo, mull over your life’s purpose at Karanji Lake, or gawk over one of the most beautiful waterfalls in India — the Shivanasamudra Falls. Good to know: Nightlife in Mysore pales in comparison to its more boisterous neighbor, Bangalore, but the city makes up for it by lighting up at night. Take in a surreal view of Mysore by driving up to the summit via the popular winding hill road, and if the skies are clear the view from the top will definitely take your breath away. Ooty can be rough and chaotic in its centre, but it’s remarkably easy to escape the hustle and bustle of its busy town life and head out into more peaceful areas where you can commune with nature. 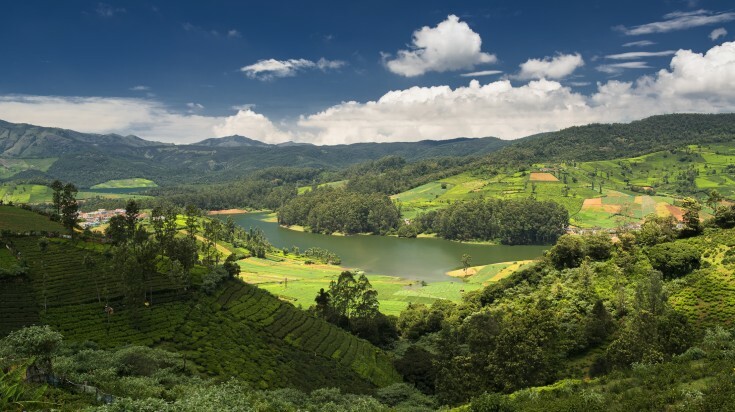 Revered as the “Queen of Hill Stations”, this municipality in Tamil Nadu features towering pine tries, gigantic botanical gardens, Hindu temples, and pristine lakes. Vestiges of its British-colonial past are still evident in its Raj-era bungalows, adding high-culture flair to its gritty Indian influences. Highly active adventurers won’t run out of things to do. Go trekking at Doddabetta Peak, boating at Ooty Lake, hiking at Mukurthi National Park, or mountain biking at Ooty’s popular Mountain Bike Park. End your adventure on a sweet note with Ooty’s famous chocolates! Good to know: The Ooty Rose Garden is a must visit. Gorgeous terraced lawns are bedecked with over 20,000 rose bushes of around 2000 varieties. Perfect for a relaxing stroll as it provides great views of the Ooty hillside. India is a land of unrivaled diversity from its rich heritage and religion to its picture-perfect landscapes and fiery culinary inventions. The ragged, chaotic, and uncomfortably unconventional is juxtaposed with big city comforts and a degree of opulence worthy of a Mahajara. It is big and beautiful, surprising and even scary, but the lessons you’ll take home and the sights you’re bound to see will make you look back and think it’s all worth it.